Tasty apple smoothie recipes that will keep you coming back for more. 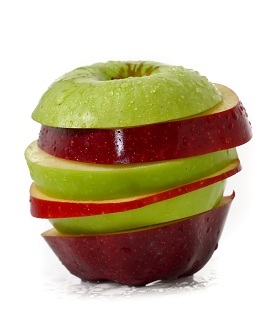 Get all of the benefits of apples that will supercharge your day! These smoothies are a great way to start your morning. They are full of fiber and flavor. This makes them tasty and filling. A great combination! Smoothies made with apples are best when consumed right after blending. You see... The fiber in the apples thickens up the smoothie. If you let your smoothie sit for a period of time, it will have a different texture. Depending on the other fruit in the smoothie... most likely you’ll have a smoothie with the texture similar to apple sauce. If this happens, just blend the smoothie again. You may want to blend a couple of ice cubes into the old smoothie to freshen it up. If you need to freshen up the smoothie on the go, you can use a container with a lid to shake it up. Keep it as cold as possible. Don’t let the fiber stop you from blending up these delicious smoothies. Try them for yourself!